Since the large-scale production of synthetic materials began in the early 1950s, humans just can’t get enough of plastic. 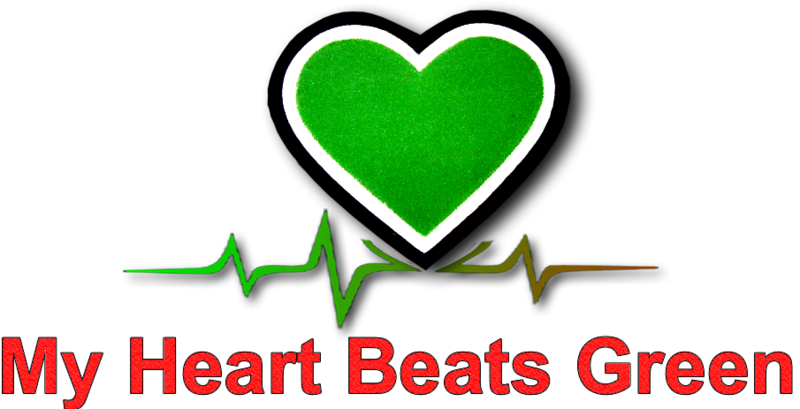 We love them so much that we have produced up to 8.3 billion metric tons. Out of these, at least 6.3 billion tons have become waste. Only a meagre 9% was recycled, 12% incinerated and 79% accumulated in landfills or the natural environment. 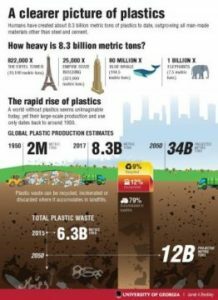 Across the world, plastic production and consumption is growing and shows no signs of slowing. Production leaped from 2 million metric tons in 1950 to over 400 million metric tons by 2015, outgrowing the production of most other human-made materials like steel and cement. Moreover, while some of the other materials will have decades of use, plastic is the opposite. The largest market for plastics is packaging, and most products are only used once and discarded. Also, most plastics are non-biodegradable and the waste generated could last for hundred or even thousands of years. Perhaps more worrisome is the fact that a large portion of plastic waste in not disposed properly. An estimated 8 million metric tons of plastic entered the oceans in 2010, posing great risks to marine and human life. 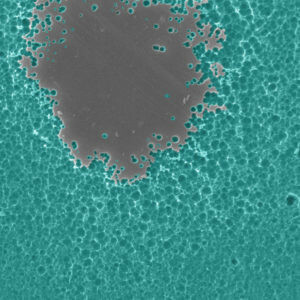 It is therefore good news that scientists in Britain and the United States have engineered a plastic-eating enzyme. The natural enzyme is thought to have evolved in a waste recycling centre in Japan. With potential to help fight against pollution, the enzyme is able to digest polyethylene terephthalate, or PET – a form of plastic patented in the 1940s and now popularly used in millions of tons of plastics. PET plastics can persist for hundred of years in the environment, resulting in pollution of large areas of land and sea worldwide. By adding some amino acids to the structure of the natural enzyme, the scientists were able to achieve a serendipitous change in the enzyme’s actions, allowing its plastic-eating abilities to work faster. This further demonstrates the potential to optimize the enzyme even further. In 2017, a team of scientists from Pakistan and China stumbled upon a species of fungus that colonises the surface of plastic, causing it to chip away microscopically and degrade faster. This species is called Aspergillus tubingensis, and was tested extensively. 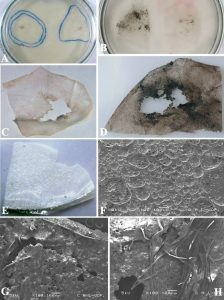 When isolated and kept in a liquid, the fungus disintegrates the plastic material polyester polyurethane into pieces small enough for them to biodegrade. Dr Federica Bertocchini of the Institute of Biomedicine and Biotechnology of Catabria, Spain, also an amateur beekeeper, made the discovery accidentally that caterpillars of the wax moth, Galleria mellonella, were found to eat up plastic bags in just a few minutes. This process of potentially using living creatures as a solution to human-made pollution is called ‘bioremediation.’ However, it still requires further and extensive research and advancement before it is scaled-up and implemented as a solution. 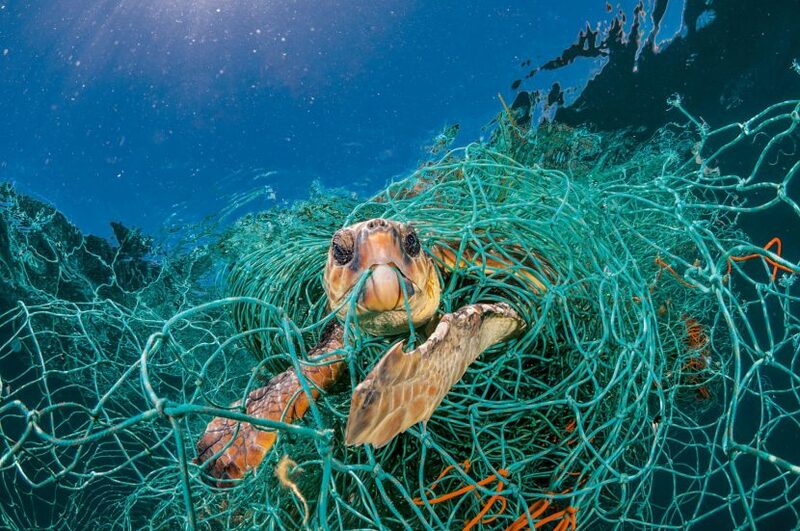 While humans may not be ready for the total removal of plastics from the market place, it is crucial to seek a more critical examination of plastic use and its end-of-life value. Although some plastics are seemingly indispensable such as in products designed for durability, there is urgent need to re-examine our expansive use of plastics for the sake of a healthier planet. In the meantime, we need to pay more attention to plastic-eating enzymes and other potentials for solving our pollution problem.